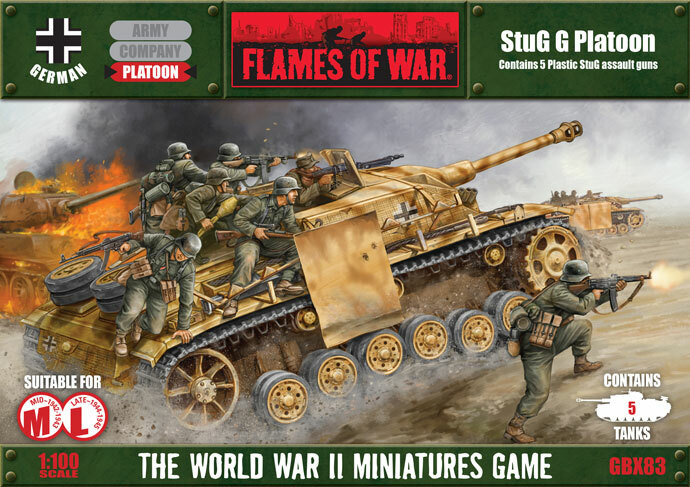 Battlefront gives us a deep look inside their upcoming StuG G Platoon for Flames of War. The StuG G assault gun (Sturmgeschütz) served on all fronts of WWII, as infantry support tanks and as tank-hunters. With their low silhouette, StuG assault guns were easy to camouflage and difficult to spot. The StuG G was the most produced armoured vehicle of the Wehrmacht, with over 7,500 being made.